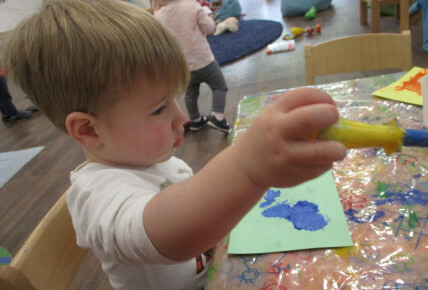 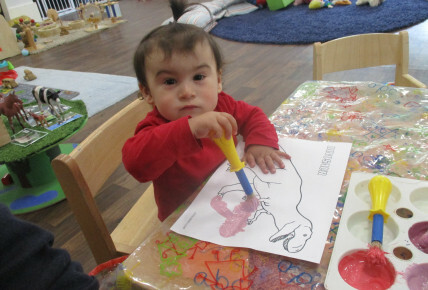 As the babies are interested in playing with dinosaurs at the moment, staff encouraged them to paint and decorate their own dinosaurs! 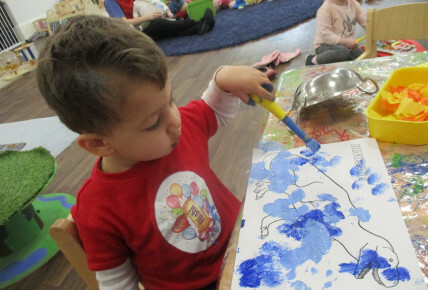 They were given dinosaur print outs, and several different paints and brushes to choose from, and let them get creative! 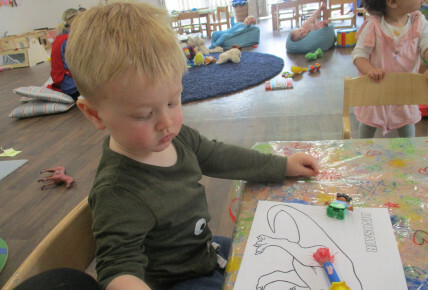 They had fun doing this!